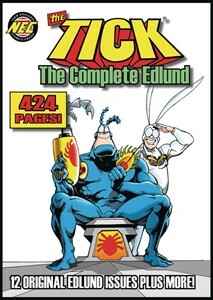 The Tick: The Complete Edlund is a jam-packed 424-page blockbuster which collects all 12 issues of the classic Tick series, written and drawn by creator Ben Edlund! 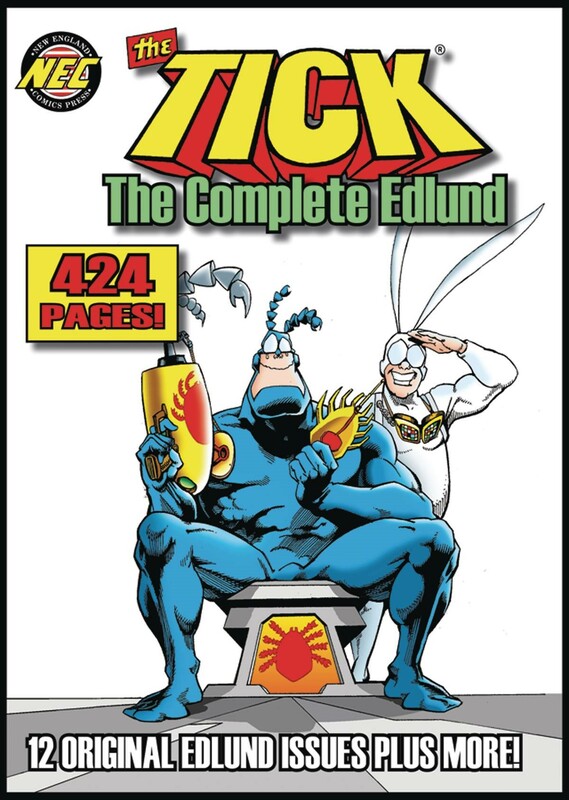 "Extras" include: commentary from Edlund; the first Tick story (originally published in the NEC Newsletter); rarely-seen back-up stories; pin-ups; and a bonus full-length story, "Pseudo-Tick #13", which provides a possible conclusion to Edlund's original storyline. Extra bonus: Also includes an awesome 8-page Tick tale by All Star creators Benito Cereno and Les McClaine!